Internet was quite fast in most areas, but in some locations, it was a bit slow. Overall, however, connection is good considering 8 of us are connected to it at a time. It is also hassle-free to claim and return the pocket wifi device since it will be delivered to your hotel, and you will just surrender it to your hotel’s reception on the last day of your wifi booking. 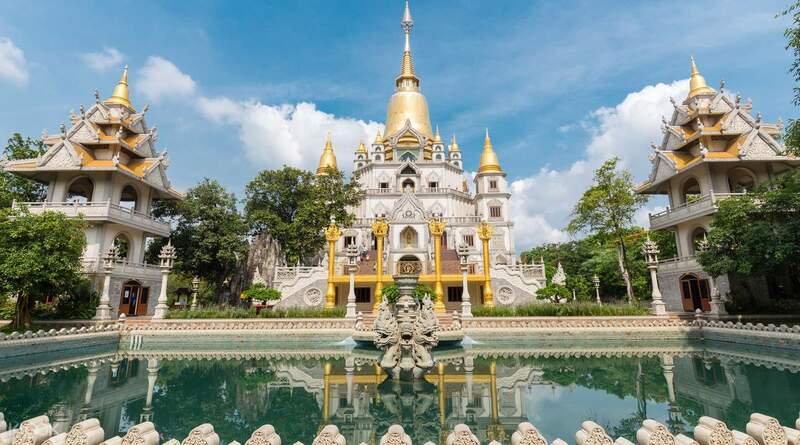 Getting around Vietnam was so easy and being connected to the internet wherever we went made our travel experience effortless and more fun. The unit was conveniently ready at our hotel when we arrived. And no hassle of deposit was required. I thought ordering a 3G might not be enough but the signal was reliable and good. 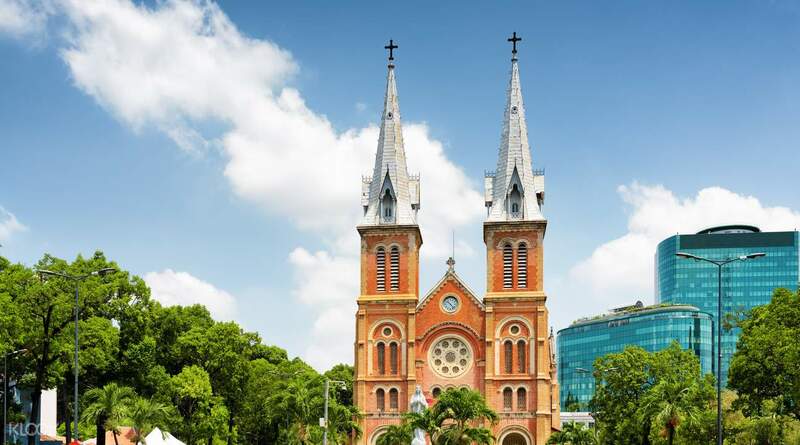 Getting around Vietnam was so easy and being connected to the internet wherever we went made our travel experience effortless and more fun. The unit was conveniently ready at our hotel when we arrived. And no hassle of deposit was required. I thought ordering a 3G might not be enough but the signal was reliable and good. It was just impressive that the Klook personnel in charge of delivering the WiFi device to my would-be apartment made a way to make sure I get the device on time by communicating with my host. Internet speed was also superb. I rarely get issues so far with my connection in the span of my vacation in Ho Chi Minh City unless you're in a tunnel or far from the mainland where telecommunication signals are patchy. It was just impressive that the Klook personnel in charge of delivering the WiFi device to my would-be apartment made a way to make sure I get the device on time by communicating with my host. Internet speed was also superb. I rarely get issues so far with my connection in the span of my vacation in Ho Chi Minh City unless you're in a tunnel or far from the mainland where telecommunication signals are patchy. everytime i go abroad a portable wifi is a must to ensure that I am always connected as I am an online map heavy user plus I get to upload photos anytime. getting one from klook is always affordable and worth it. this one is very convenient as it gets delivered to your hotel so theres no need for you to pick it up or surrender in the airport! connection is fast anywhere in the city. although battery only last for 4-5 hrs with 3 devices connected. other than that i am very satisfied! everytime i go abroad a portable wifi is a must to ensure that I am always connected as I am an online map heavy user plus I get to upload photos anytime. getting one from klook is always affordable and worth it. this one is very convenient as it gets delivered to your hotel so theres no need for you to pick it up or surrender in the airport! connection is fast anywhere in the city. although battery only last for 4-5 hrs with 3 devices connected. other than that i am very satisfied! When we arrived at the hotel, the receptionist immediately gave us the pocket wifi. It is very fast an reliable. We used it in touring the city and booking with grab. Very convinient and cheap. When we arrived at the hotel, the receptionist immediately gave us the pocket wifi. It is very fast an reliable. We used it in touring the city and booking with grab. Very convinient and cheap. Wifi is very reliable. Very useful when booking Grab and using Google Maps. Signal is okay even on Skydeck and remote parts of the city. Set up is a breeze and was delivered to our AirBnB smoothly. Will rent this again when in Vietnam. Wifi is very reliable. Very useful when booking Grab and using Google Maps. Signal is okay even on Skydeck and remote parts of the city. Set up is a breeze and was delivered to our AirBnB smoothly. Will rent this again when in Vietnam. The internet connection that the pocket wifi provides is very reliable! The battery also lasts very long so we do not worry when we are out and use it the whole day. Very recommended especially if the you are many that will use. It can connect up to 8 devices. The internet connection that the pocket wifi provides is very reliable! The battery also lasts very long so we do not worry when we are out and use it the whole day. Very recommended especially if the you are many that will use. It can connect up to 8 devices. Arrived the hotel at 2am and received from the hotel’s front desk a sealed package. Inside the package are (1) pouch bag (2) router (3) charger (4) envelope where you’ll put everything when you return the device. Unit was reliable, specially when booking Grab. Down side of it was the battery life. It only lasts for 5-6 hours. Good thing I have my power bank with me, I can easily charge it. Arrived the hotel at 2am and received from the hotel’s front desk a sealed package. Inside the package are (1) pouch bag (2) router (3) charger (4) envelope where you’ll put everything when you return the device. Unit was reliable, specially when booking Grab. Down side of it was the battery life. It only lasts for 5-6 hours. Good thing I have my power bank with me, I can easily charge it. It was delivered to our hotel with clear instruction on how to use it with return envelop after usage which you can leave at your hotel as well. Just to be sure, take a photo of the acknowledgement receipt showing the name of the staff who received it. The connection was good. We connected 3 devices and we have no problem. It’s very useful and convenient for travellers especially to those who would like to update on social media or just video call family members back home. It was delivered to our hotel with clear instruction on how to use it with return envelop after usage which you can leave at your hotel as well. Just to be sure, take a photo of the acknowledgement receipt showing the name of the staff who received it. The connection was good. We connected 3 devices and we have no problem. It’s very useful and convenient for travellers especially to those who would like to update on social media or just video call family members back home. Best decision to avail this pocket wifi rental. Plus it’s delivered in your hotel. We easily navigate around HCM thanks to this! The battery lasted for more than 8 hours and internet speed is fast. This is a must for DIY travellers! Best decision to avail this pocket wifi rental. Plus it’s delivered in your hotel. 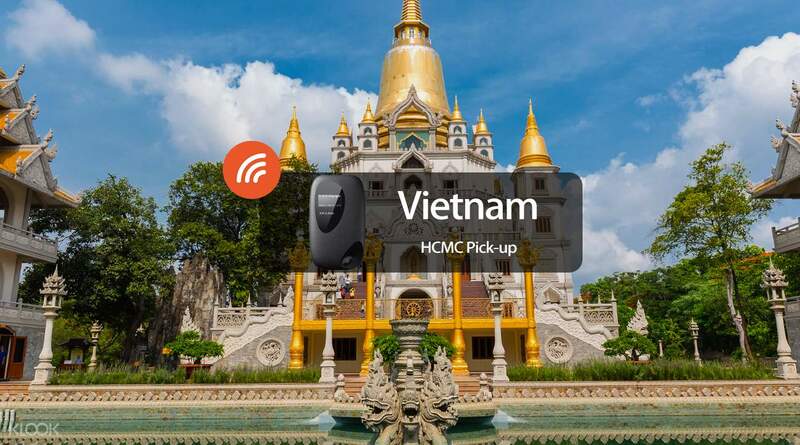 We easily navigate around HCM thanks to this! The battery lasted for more than 8 hours and internet speed is fast. This is a must for DIY travellers! Q: Can someone else pick up the router? A: Yes, as long as they present the Klook voucher.